EverSmoke Electronic Cigarettes claim to have some of the longest-lasting batteries on the market and the batteries really do seem to last. EverSmoke is actually a newer brand by South Beach Smoke, one of the more trusted brands in e-cigarettes. The EverSmoke Electronic Cigarette is an innovative way to enjoy smoking without lighting up an actual cigarette. EverSmoke E Cigarette provides the enjoyment of smoking without the harmful chemicals, too. EverSmoke even looks like an actual cigarette with a glowing orange crystal tip and vapour that looks and tastes like actual smoke. However, EverSmoke is not a cigarette. This innovative newly designed device allows individuals to smoke where traditional smoking is not allowed. EverSmoke includes a long-lasting rechargeable battery to ensure enjoyment of the E cigarette for much longer than other brands of E cigarettes. The EverSmoke Electronic cigarette provides hours of enjoyment with each cartridge. The Flavour Cartridge appears just like a filter on a traditional cigarette. Cartridges that are flavoured to taste are also available for more smoking pleasure. The silicone tip prevents leaking and makes sure that each draw from the electronic cigarette takes in the most possible vapour. The EverSmoke Electronic Cigarette includes a proprietary atomizer that is built right into the cartridge. The atomizer produces the maximum vapour possible from an electronic cigarette. Each time a cartridge is replaced, the atomizer is replaced, as well. The EverSmoke E Cigarette ensures that your smoking pleasure is maximized with the atomizer built right into the Flavour Cartridge. EverSmoke includes the VaporMax technology, which ensures a smooth and clean draw from the E cigarette. VaporMax is a feature that only EverSmoke has, in contrast to other electronic cigarettes. VaporMax provides the thickest and most enjoyable vapour of any electronic cigarette on the market. The EverSmoke E Cigarette Offers Several Flavoured Cartridges in Addition To Classic Tobacco Flavour. Each package of Flavour Cartridges comes with 15 cartridges and the package is approximately the same size and shape of a traditional pack of cigarettes. Several accessories are available for the EverSmoke E Cigarette. Enhance your smoking enjoyment with these accessories and ensure that you have a charged device at any time. The Standard Battery is available in Cigarette Paper White colour, Black or Stainless Steel. Each Standard Battery provides 250 puffs before the battery needs recharged. The Standard Battery is available in both Automatic and Manual Switch options. The Manual switch option makes the charge last about 25% longer, but the Automatic charge provides a fuller experience during inhaling the vapour. Ensure that you have an extra battery so your EverSmoke E Cigarette is available whenever you want to enjoy the device. The Hi-Capacity Battery is a rechargeable battery that provides 350 puffs between recharges. This high-capacity model is also available in the Automatic and Switch mode options. The Mini Battery is the smallest battery available for the EverSmoke E Cigarette. The Mini Battery most closely resembles the traditional cigarette and this battery is also available in both the Manual and Automatic Switch options. The Personal Charging Case is designed to be used with the Mini Battery. This charger provides the maximum level of convenience for charging the Mini Battery without a USB port or electrical outlet. Purchase a Wall Charger or a USB Charger for your device. The USB Charger allows you to charge your EverSmoke battery from any USB port on a computer and the Wall Charger allows you to charge the electronic cigarette from any wall outlet. There are also 3 other enhanced kits available that offer extra features in addition to the contents of the basic starter kit. E cig smokers can choose to upgrade by adding items such as an additional high capacity battery, car charger, carrying case, 15 nicotine cartridges, a mini battery or a personal charging case. With four kits to choose from, e cigarette smokers can select the perfect starter kit to fit their needs. There were many positive attributes discovered during this ever smoke review regarding basic features, unique features and company standards. The EverSmoke e cigarette is a two-piece cartomzier that comes in some great styles and flavours. The vapour production is impressive, as is vapour consistency. EverSmoke Electronic Cigarettes have a few cool features that make the e-cigarettes even more fun and simple to use. For example, this brand of e-cigarettes has an orange LED light at the end of each e-cigarette. The light makes the product look more like a traditional cigarette and also lets you know when the battery needs to be recharged which is quite handy. The brand promises that its VaporMaxÂ® technology cartridges deliver a smooth draw and good vapour experience. They seem to deliver, too. The experience of smoking an EverSmoke mimics the experience of a traditional cigarette, and even the flavour is realistic. In fact, EverSmoke e-cigarettes offer six flavours: Classic Tobacco, Peppermint Party, Coffee Creation, Cherry Crush, Very Vanilla and Cool Menthol. You can get a 6-pack of cartridges of this brand at a very affordable price. EverSmoke Electronic Cigarettes promise long-life batteries and up to 470 puffs. Experience suggests that the batteries do indeed last longer with this brand, although the batteries are not as sleek or light as other e-cigarette brands. On the plus side, EverSmoke Electronic Cigarettes do offer some battery choices. You can opt for automatic or manual batteries. Automatic batteries give you more of the feel of a traditional cigarette and tend to last longer. Manual batteries, though, do seem to offer more vapour. This allows you to personally choose the battery that gives you the vaping experience you are looking for. If you smoke heavily, the High-Capacity EverSmoke Battery will give you more battery time before recharging. For one thing, you will find Eversmoke cigs easy to use with their two-piece technology. While there are lots of other e cigs which perform this way, some add a third part which has its pros and cons. For new vapers, two parts are plenty. Vaping with Eversmoke e cigarettes is an affordable habit. 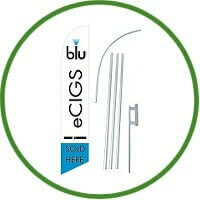 Their range of kits makes finding the right set for a wary soon-to-be ex-smoker a piece of cake. Use the Eversmoke website to calculate the savings you will make by switching to e cigs from your regular analogue cigarettes. This is an encouragement if ever I saw one: imagine what those dollars could mean to your holiday plans. A huge high point with the brand is their vapour production and throat hit. In fact, if you are a light smoker, one user recommends you choose a different brand. This could be too much for you. Even cartridges of the same nicotine strength from other companies are not as powerful. Eversmoke is the same size as other cigar likes but these last longer. When you order, you become a member and qualify for low price monthly cartridge refills. You also have access to discounts not available to new customers. Vaping just got cheaper. The vaping experience with EverSmoke Electronic Cigarettes is very good. The e-cigarettes are high quality and fit comfortably in the hand. They appear to be well made, without that feeling that lesser brands have. With EverSmoke, the atomizer is built right into the cartridge, which means you are getting a new atomizer whenever you use a new cartridge. The result is a big flavour hit with every new flavour cartridge. 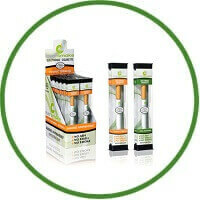 EverSmoke Electronic Cigarettes can be purchased on the EverSmoke website. The site is well designed and there’s an 800 number in case you run into any questions. The customer service with EverSmoke appears to be quite good. In fact, they have a 100% Money Back 30-Day Guarantee on most products and a Lifetime Replacement Warranty for as long as you remain an EverSmoke member. If you are part of the EverSmoke Home Delivery Program, you also enjoy a one-year replacement warranty. EverSmoke seems to have fewer written limitations on their warranties than other e-cigarette brands as well. Like anything else in life there are advantages and disadvantages to this product. First of all, this product has the advantage of having an extensive battery life, a life-like LED design, and a decent offering of flavour choices. The drawbacks are that there is no e liquid option and there are only limited flavour choices. EverSmoke Electronic Cigarettes are a great option for those looking for long battery life and some good custom options with their e-cigarette.